Im Juli 2018 war Emmi-Cox-Autorin Solveig Ariane Prusko in Sri Lanka unterwegs. Dort hat sie sich intensiv mit dem Thema “Zimt” beschäftigt. 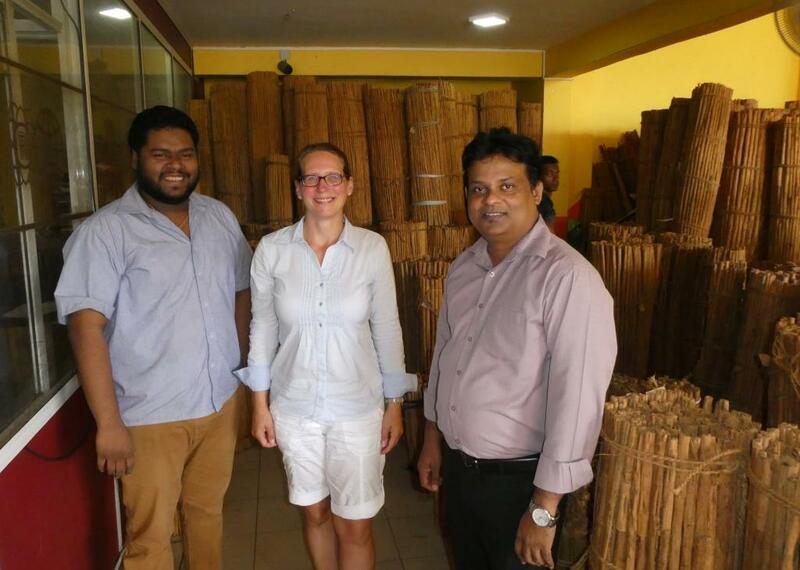 Einblicke gewährten ihr Tyrell (COPIE, Negombo) und Ravindu & Co. (RATHNA Producers and Cinnamon Exports, Kamburupitiya; siehe Foto). Band 5 mit dem Titel “Verirrt im Zimt-Labyrinth” wird – wenn alles gut klappt – zur Leipziger Buchmesse 2019 da sein! In July 2018, Emmi Cox author Solveig Ariane Prusko was in Sri Lanka. There she was intensively working on the subject “cinnamon”. Inside views were provided by Tyrell (COPIE, Negombo) and Ravindu & Co. (RATHNA Producers and Cinnamon Exports, Kamburupitiya; see photo. Volume 5 titled “Lost in the Cinnamon Labyrinth” will be – as all will be fine – released at time of the Leipzig Book Fair 2019.